Here’s to you Bill Watkins! Yesterday, after three years of researching my family tree something magical happened. My father (Bill Watkins) knew next to nothing of his paternal ancestry. Every avenue he followed led to a dead end. Up until 6 months ago I kept hitting the same wall. Then I found a tentative link. One link led to another and led me back to 1699 in the Llansoy/Llangeview/Llanishen area of Monmouthshire. While visiting my mother in Newport we went for a drive to Llansoy. 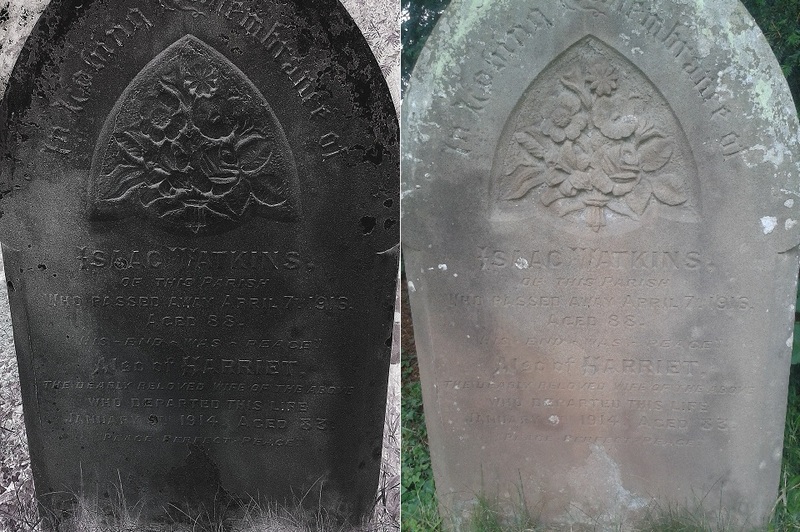 In the church was this gravestone – that of my great-great-grandfather and grandmother. I just wish my late father had been there to see it… and am raising a glass to him right now! This entry was posted in Uncategorized and tagged Genealogy, Llansoy, Monmouthshire, Wales, Watkins. Bookmark the permalink.